Use this survey to get input from the school community about how to promote healthy eating in your school. The​ School Canteens and Other School Food Services Policy should be implemented as part of a whole-school approach to healthy eating. This involves making healthy eating part of everyday school life, by integrating it into planning and curriculum, developing a supportive culture and environment, and engaging the whole-school community. 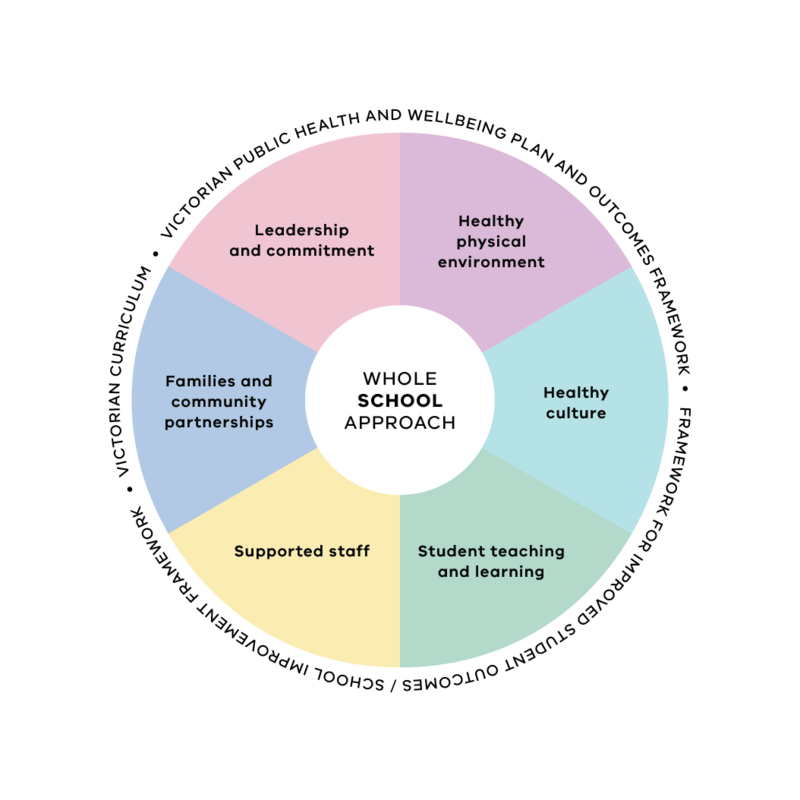 A whole-school approach brings together school leadership (principal/s, school council), staff, food services, students, families and the broader community to promote healthy eating. Everyone has a role to play. Use the suggestions below to start working together with your school community to promote healthy eating. encouraging healthy eating as the ‘norm’ and role modelling healthy eating behaviours and attitudes. promoting Green (Everyday) menu items to the school community via posters, noticeboards, school announcements, newsletter articles and on the school website. being active participants in the school’s healthy eating activities, both in and out of the classroom (i.e. providing feedback on the canteen menu, try adapting this survey from the WA School Canteen Association with your students [opens in a new window]). getting involved in healthy eating activities at home (e.g. helping the family with budgeting, food shopping and meal preparation). assist the school to plan, deliver and evaluate healthy eating initiatives. connecting with local fruit and vegetable retailers (such as MarketFresh) to support your healthy eating messages across the school. This could include a school visit by the retailers, or an excursion to a local market. Further information on creating healthy environments for learning and adopting a whole-school approach to healthy eating is available from the Department of Education and Training, Prevention and Health Promotion website.